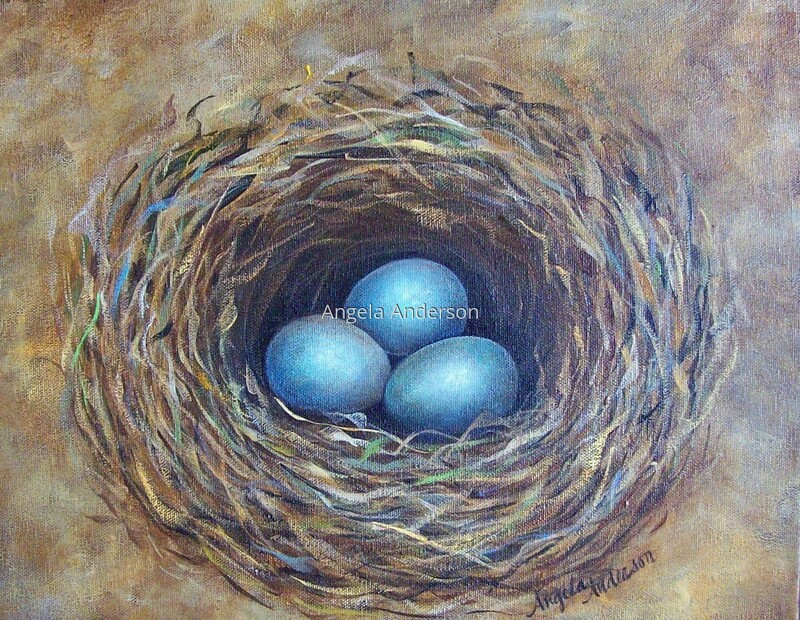 Small bird's nest with soft blue eggs. Deep gallery wrapped canvas. Being sold through M.A. Doran Gallery, Tulsa, OK.